Hannah West is artistic and full of street smarts — the perfect combination for a Seattle sleuth. 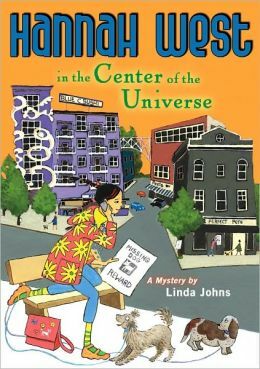 The Hannah West mystery series, published by Penguin Books for Young Readers/Puffin, includes four stories, each set in a different Seattle neighborhood. who wanders the street, closely observing her surroundings …. Hannah and her mom are technically homeless, but thanks to a series of house-sitting jobs, they always have a place to stay. In the first book, Hannah and her mom move into a high-rise apartment in Seattle’s swanky Belltown Towers. And just as they’re getting settled, someone tries to steal a valuable piece of artwork from one of their new neighbors! Quick as a wink, Hannah is on the trail of a thief who is wreaking havoc on Seattle’s thriving art scene! Armed with her keen eye and ever-present sketchbook, no detail gets past Hannah unnoticed. Lights … camera… and lots of ACTION for Hannah West soon afer she moves into a houseboat in Seattle’s Portage Bay. Not only is a Hollywood crew taking over their dock to film the TV series Dockside Blues, but now dead fish are washing up in Portage Bay. Twelve-year-old Hannah and her best friend, Lily Shannon, get a chance at fame when they’re cast as extras on Dockside Blues and now Hannah is on the set — and on the case! Read all about it in the second book in the Hannah West mystery series! Hannah and her mom are house-sitting in Seattle’s Fremont neighborhood (also known as the “Center of the Universe”) and taking care of a basset hound named Elvis. Seems a dognapper is on the loose in the neighborhood, and it’s up to Hannah to track down the canine thief. Selected as a Global Reading Challenge Book, a “Battle of the Books” type program for fourth and fifth graders in Washington state, Michigan and British Columbia. 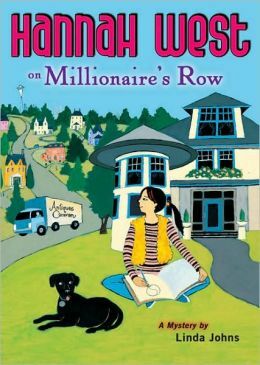 Hannah West is back in an all-new mystery-and this time she’s living in the lap of luxury in a mansion on Millionaire’s Row in Seattle’s Capitol Hill neighborhood. When someone starts breaking into homes and doing feng shui, Hannah is immediately intrigued. It all seems innocent at first. But when some small but valuable objects start to disappear from the neighbors? houses, Hannah can’t help wondering if there’s a connection. Could it have anything to do with the Antiques Caravan that’s in town to tape an episode of their television show? *“There’s a new Nancy Drew in town …” – lead in to an interview on KOMO TV, the ABC affiliate in Seattle. 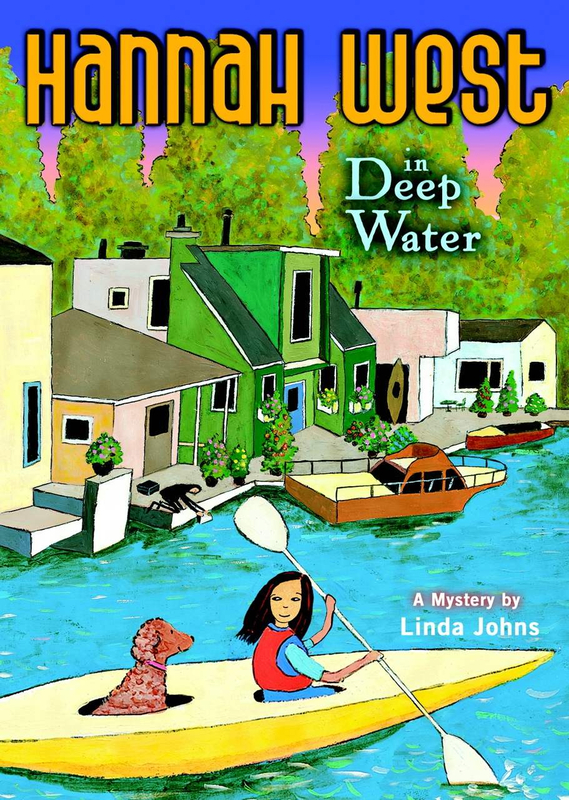 I just wanted to let you know that my 7 year old just finished two of your Hannah West mysteries (Deep Water and Center of the Universe) and she loved them! She says they were funny and she got a kick out of reading about places that are familiar (like Maple Leaf, Fremont, the University of Washington). We’ll definitely be sharing the series with our friends! Thank you for your nice words about the Hannah West books! And yay, Maple Leaf! My kids are wondering if there will be a new Hannah West adventure anytime soon. We’ve read all four and they love them!